Last week we got a Dev Blogpost on the upcoming changes to POSes or as CCP calls it Starbase Iterations. It’s not a revamp, but we didn’t expect that at this point, as the CSM minutes revealed earlier. We got this apparently due to the slight uproar after those minutes were released and CCP wanted to accommodate those ‘few players’ that own a POS. There is nothing wrong with these changes, they’re all very welcome as far as I am concerned. Finally players can get their own little space in the ships hangar and so on. What delight me the most is the ability to finally change T3 modules at the hangar. It’s really dumb you must have 2 or 3 tengus just because you can’t change them on the fly like you’re supposed to. The starbase code is quite old and complicated; so it is quite possible we will hit road blocks when addressing some of these features, road blocks that in some cases could render one or more of them undeliverable. Now what is more important is what is missing. What I would really like is a more convenient way to refine minerals. The current modules are probably from early on in the game when Mining Barges didn’t even exist. A new module or an ‘ iteration’ of those modules would be very welcome. 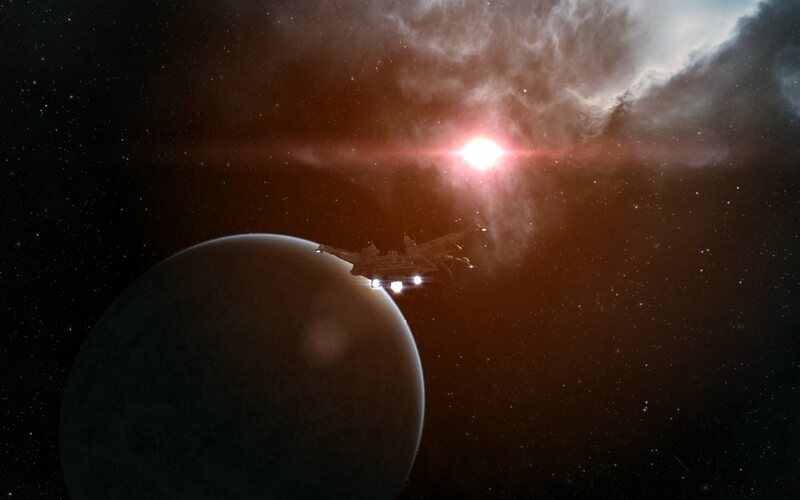 Unless CCP does not want us to be self sufficient in the Wormhole and wants us to ship the minerals to Empire. Also there is no mention of roles and the corp hangar and ship hangar. Although probably not everything has been fleshed out entirely, but a lot of people would be grateful if this was added. It might be getting a bit too complicated for June however. Regular readers of this blog probably wonder ‘wtf is Morph doing in the Drone Regions !‘. Well it just so happens it was an involuntary roam through 2 wormholes and we ended up in Perrigen Falls. But let me start at the beginning. The alliance does wormhole ops, usually sites in a neighboring C4 on Sunday nights. I have been participating for over a month now, and these usually go by uneventfully, except maybe a probe or two on dscan, or someone sitting at a POS in an Iteron III. But last night we saw some activity before the op went down. Two cov ops scanning ships and a scan frig. But we decided to give it a try anyway and then once we hit the third site, a Dominix, Scorpion and an Apocalypse popped up on the directional scanner. My first instinct was to immediately warp towards our exit hole, but our FC shouted ‘STAY STAY’, so I managed to stop my warp just in time. Which was a good thing, as it turned out, they were collapsing our exit hole to our home system ! In order to spice up my life in Eve I was looking for things to do. Akely had already proposed to join the 20 minuters and live in their wormhole a while back and last week I decided to take him up on his offer. There is more to Eve than level 4 missions and inventing hammerheads II ! Since then I have been making lists for stuff I’ll need. Making several shoopping trips to Jita and reading up on wormholes. Not bad for someone who always stated he wasn’t interested in wormholes :). Sometimes you have to expand your horizon ! I am feeling more excited about Eve now and feel a bit noobish again. But finally a lot of skills me and my alts have will finally come to good use. Scanning, gunnery and the like will finally come in handy ! I’ll certainly will blog about my adventures in the hole (or lack thereof) here.